Different kinds of letters come with different formats, and the Reference Letters is not an exception in this regard. A professionally crafted reference letter should come with a few vital parts. In case, if you do not know how to write such letters, the best thing you can do is, download the online samples. Several samples are available, and using them is always an excellent idea. 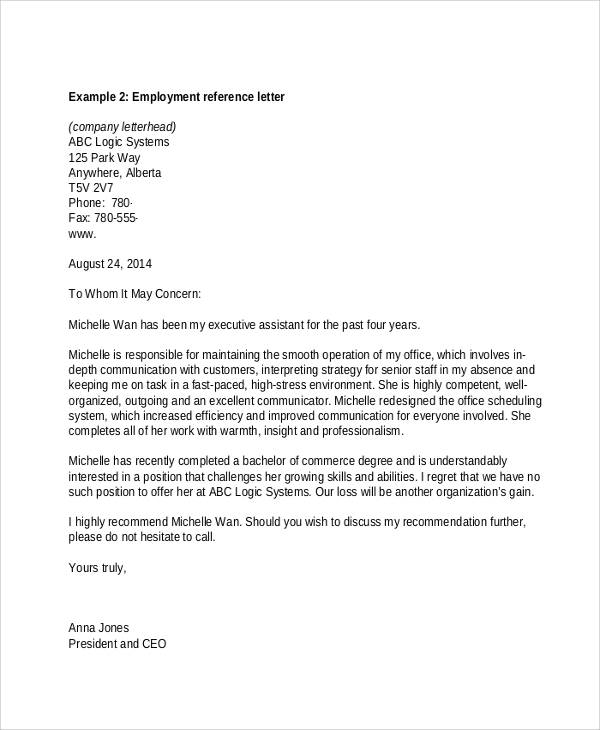 To make your reference letter more impactful and professional, find some good samples. 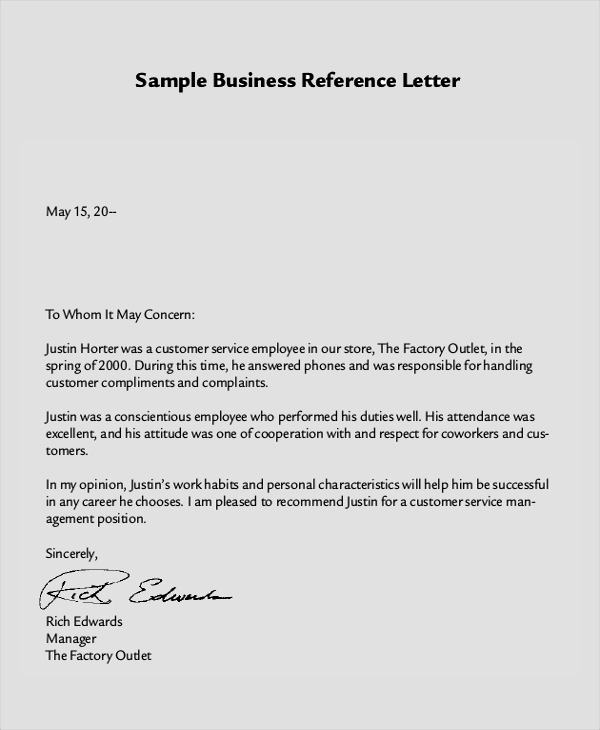 This is a sample for business reference letter which can be used for any professional purposes. This letter comes in a proper format and professional tone of writing. Download it and print to use it. 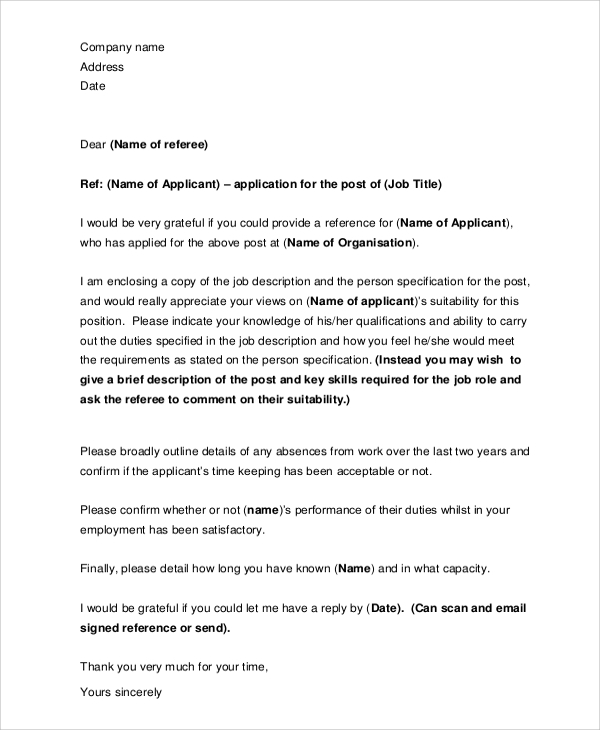 Reference request letter can fetch a job for an individual. Thus, the importance of such letters is always crucial and high. For this reason, you can consider downloading this sample reference request letter. 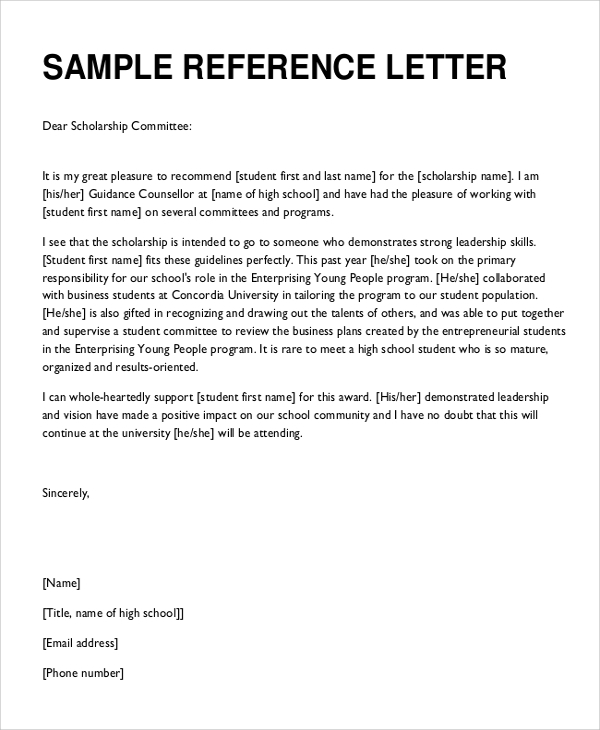 You can create a reference letter for a scholarship for a student who has the merit to get a scholarship program. The scholarship helps students to pursue courses as per their preference with relaxed tuition fees. 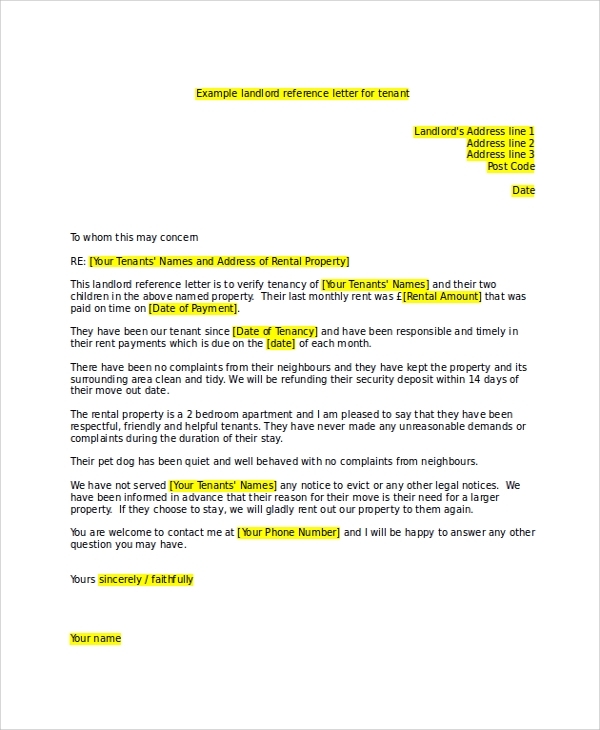 Landlord reference letter has been written to refer a person to a landlord. Many people look for property rental, and landlords may take people with references only for security reasons. 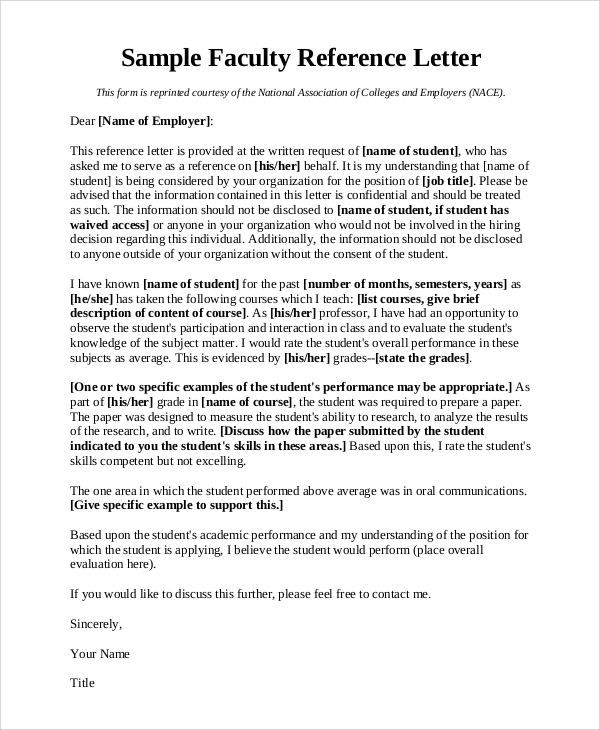 This is a reference letter that can be written to refer a meritorious student for any course at a college. Teachers or professors or other influential individuals can write this letter for their students. Reference letters are used for the purpose of referring someone or something to a person or organization. For example, reference letter can be written by college professors or teachers for recommending their students to a university for higher studies. They can also refer their students to a scholarship program or research fellowship program or something else. Overall, it is crucial to have correctly written reference letters. If they are written carefully, a person may get an opportunity for studying in a good college or university. Reference letter also matters for the job seekers too. People get desired jobs with perfectly crafted reference letters. You may also see the Student Reference Letters. Who Should Use The Online Reference Letter Samples? A reference letter is not an easy thing to be written if you are writing it for the first time. Different people need to write reference letters for various reasons. It is always important to write such letters carefully. To format the letter correctly and to include all the crucial factors in the letter, it is always better to follow the online samples rather than trying to write the letter on your own. Using samples make the job easier. You can download the Sample Letters and make changes or alterations as per your needs. 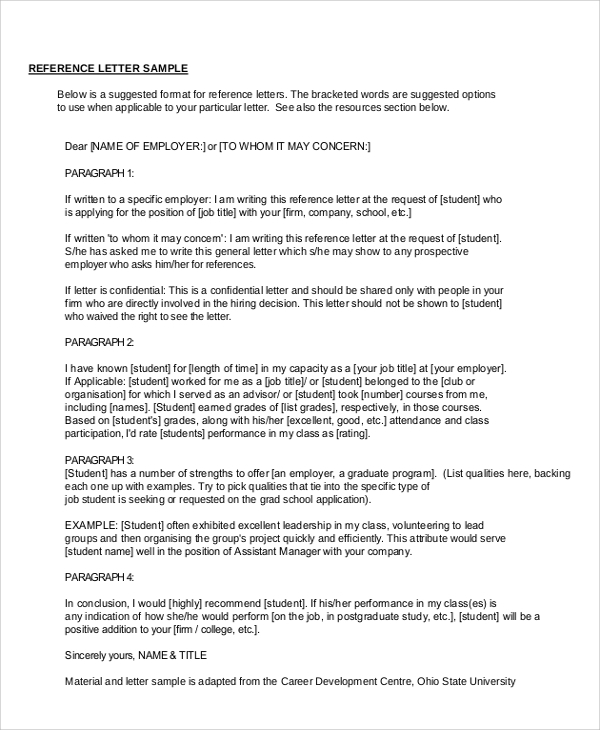 Print the letter and put your signature on it to create a strong reference letter for someone. Writing reference letters for someone is always important. It is important for the person who seeks recommendation letter for you. You have to write it carefully, as this is a prestige issue for you. To make the process of writing reference letters easier, using online reference letter samples is highly recommended.